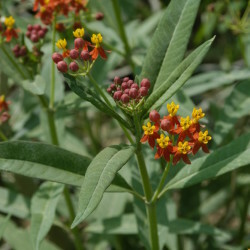 The Milkweed or Silkweed is a small, bushy, evergreen shrub with woody stalks at the base, growing to a height of 100 cm. It is indigenous to tropical North America and Africa. 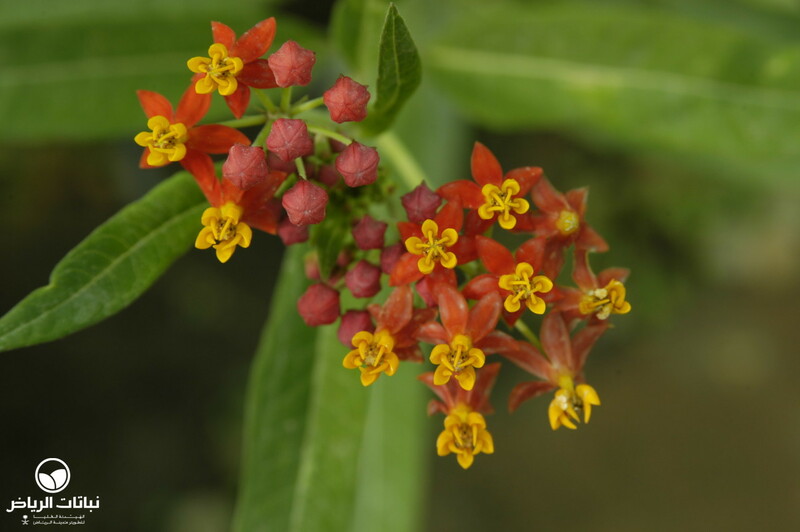 Silkweed has umbel flowers both red and yellow in colour that bloom almost the whole year round. 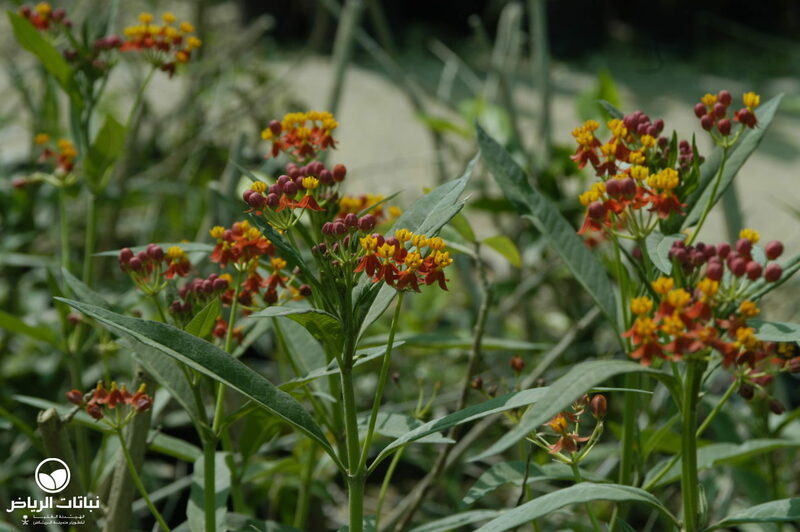 It requires a moist, fertile and well-drained soil and nutrients. 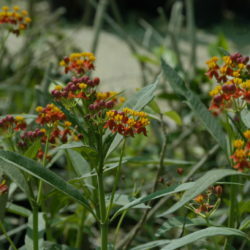 A. curassavica prefers a sunny to a partially shady location. It can withstand frost up to –5°C. The Silkweed takes its name from its seeds. When the longish slender pods open, dark brown seeds become visible which have silky hairs upon them. 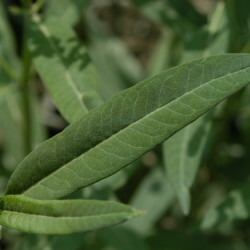 The plant can be propagated by seeds or cuttings of the green branches or root division. 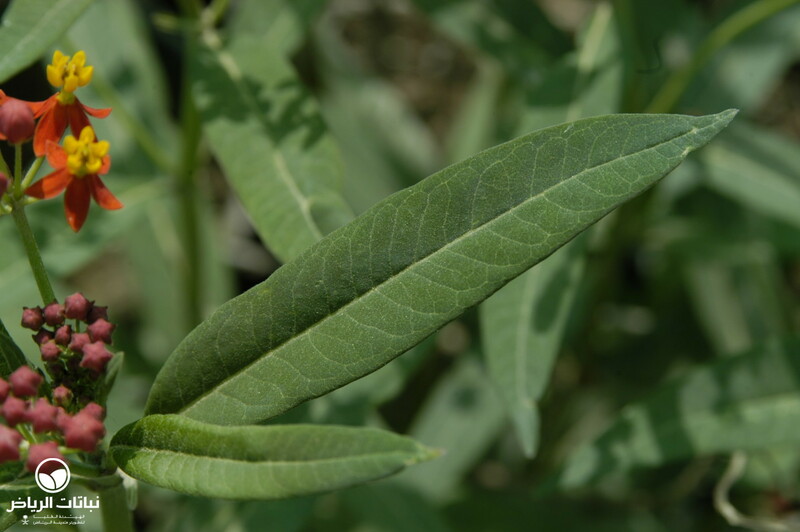 The milky fluid produced in the plant’s stems can cause irritation, and contact with the eyes should be avoided. 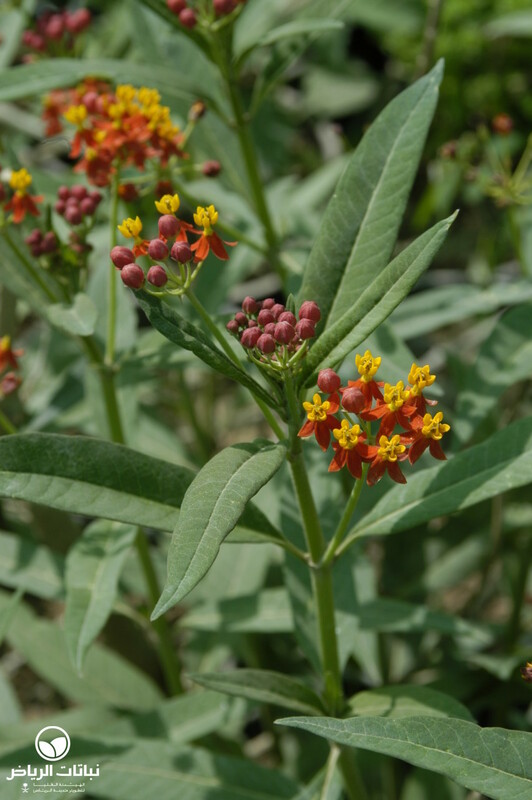 This Asclepias is very attractive in private gardens or parks in mixed borders, or as a high groundcover, because of its attractive appearance in both flower and seed. It should be planted together with other plants having similar requirements such as regular irrigation, light and nutrients. 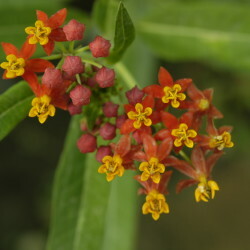 Lush, tropical planting themes are, therefore, suitable for the use of this plant. Pinching the tops after flowering improves blooming and encourages dense growth from below; otherwise, the plant needs only low maintenance.